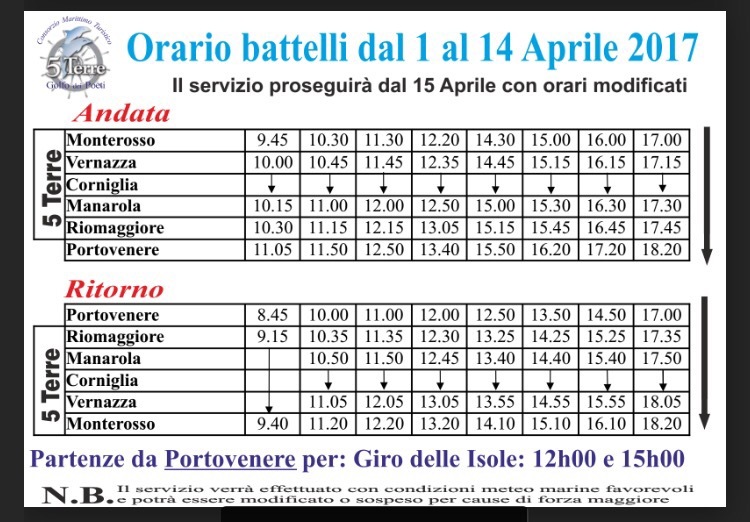 Starting April 1st the ferries will begin running between the Cinque Terre villages (minus Corniglia which is located off of the sea) and Portovenere. This first schedule, which kicks off the 2017 touristic season, is quite limited and will only last for two weeks. The next schedule (which has not yet been released) will be ramped up in order to accommodate visitors for the busy Easter weekend. Pricing can be found below. 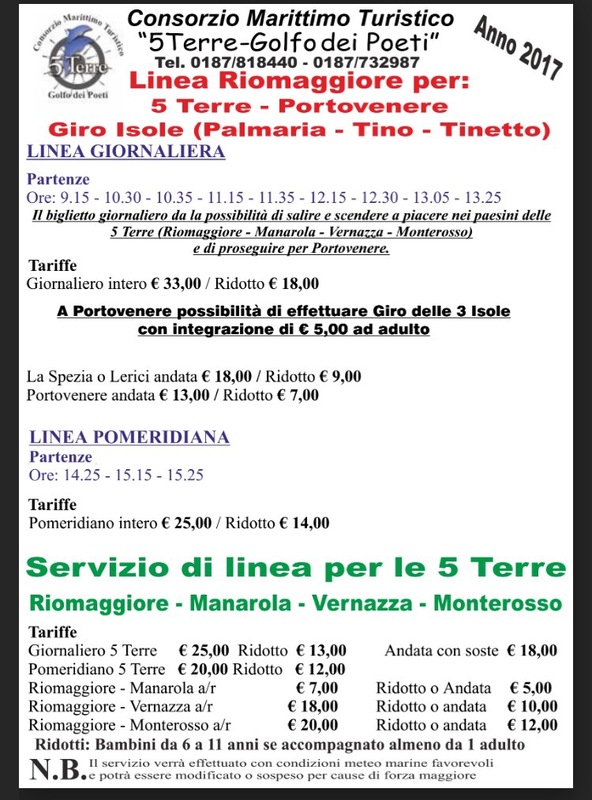 For just the Cinque Terre, look beneath the green header (the portion above that is for Portovenere + Cinque Terre). *Don’t forget that the ferries will only run in favorable sea & weather conditions.